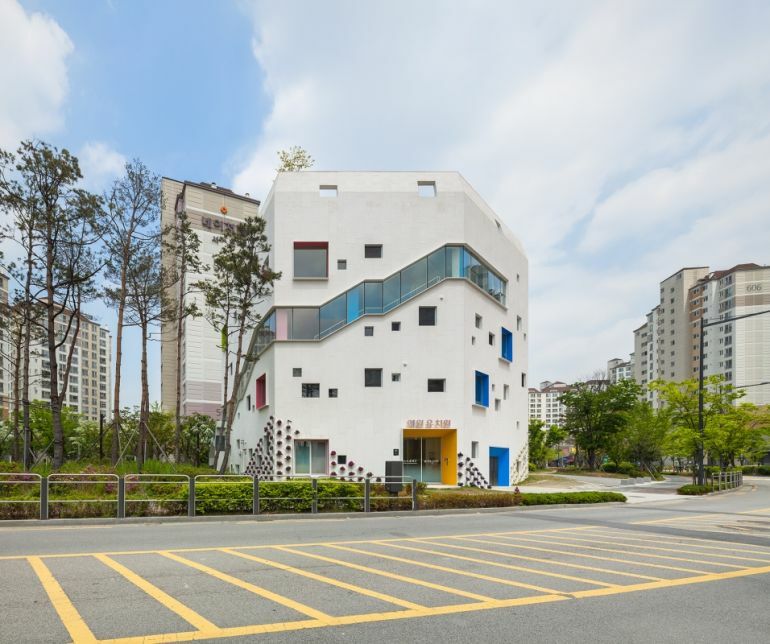 Standing proudly amidst a sea of concrete towers, in the Seocho District of South Korea, is a brilliantly playful and colorful structure that beckons the child in everybody. 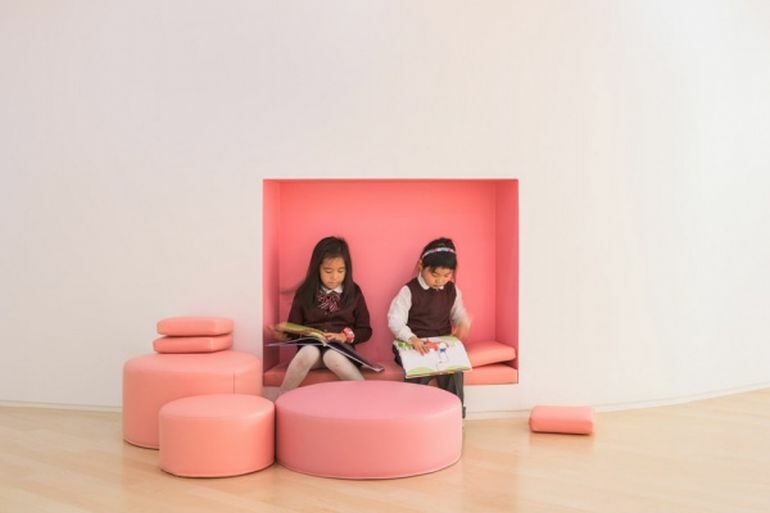 Constructed by local architectural firm OA Lab, the Flower Kindergarten boasts a fabulous interior design, complete with built-in flowerpots and a versatile staircase that doubles as a play and study space. 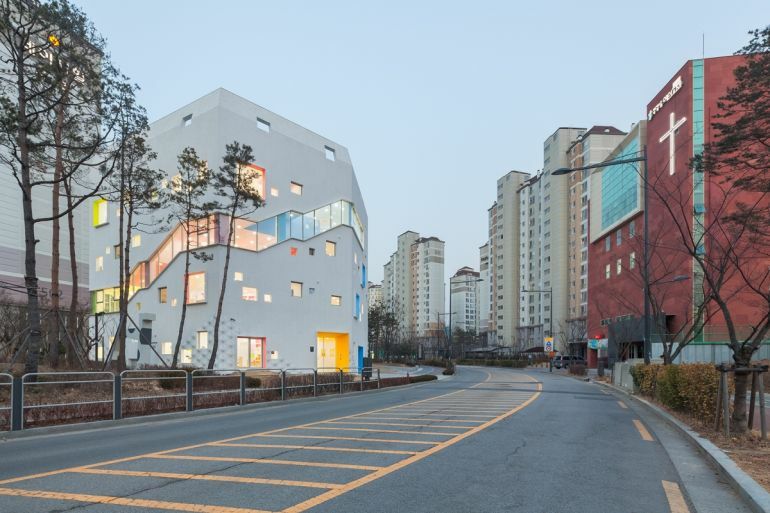 Most of the kindergartens in the city have poor architectural design, reflecting economic values, regulations and small lot sizes in the highly dense city. 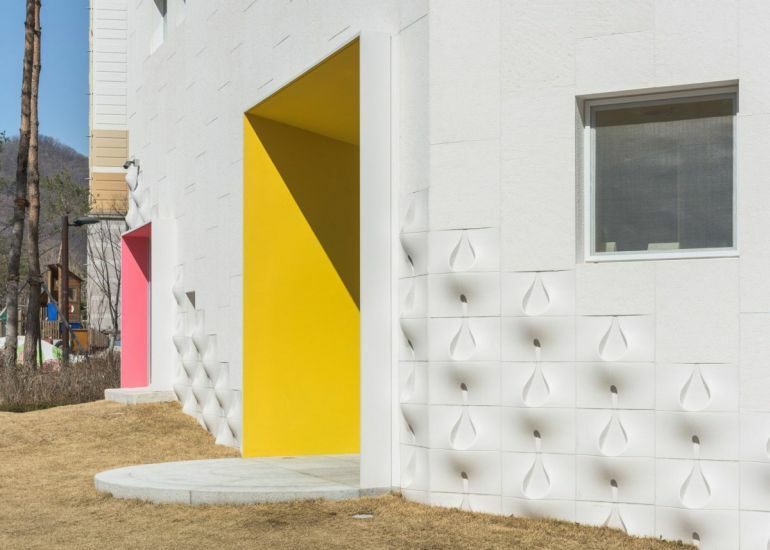 This project is about providing a dynamic physical environment for education as well as interactions between children and nature. The stair itself becomes a playground. The space created below and above the stair is utilized as a children’s play den at children’s scale. 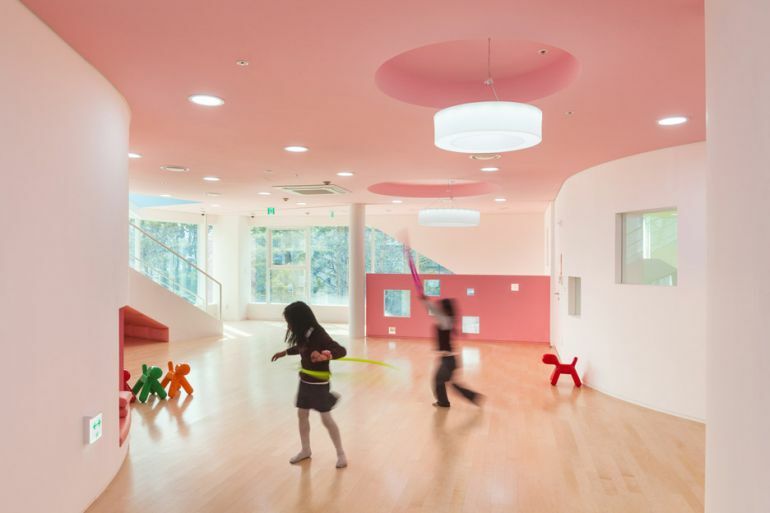 There are subtle difference between ceiling, wall and window frames, thus the kindergarten’s built environment encourage children’s color sensitivity. 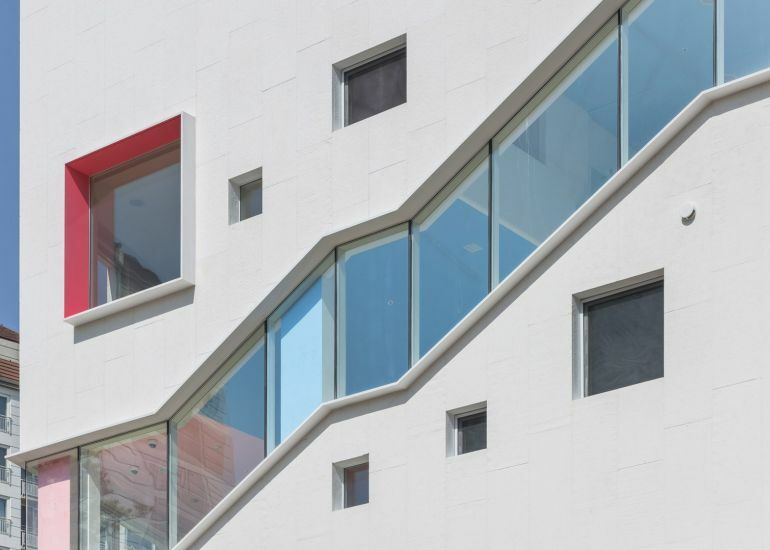 The building’s unique location and shape will provide a local landmark in the homogeneous neighborhood, where every apartment building looks the same. Children can identify their own classroom from the street. To know more about the firm and its various projects, head over OA Lab’s official website.